The Border Patrol station in Bisbee, Ariz. will be renamed after agent Brian Terry, who was shot to death last December. Rep. Darrell Issa (R-Calif.), chairman of the Committee on Oversight and Government Reform, introduced the bill in the House this week. 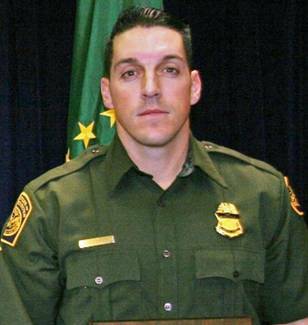 “In the past half-century, 70 U.S. Border Patrol agents – including Agent Terry – have been killed while protecting our nation,” added Pia Carusone, chief of staff for Rep. Gabrielle Giffords (D-Ariz.), whose office worked with Issa on the legislation. Terry became a central figure in the investigation into the controversial ATF operation known as Fast and Furious. Under the program, ATF encouraged gun dealers to sell to middlemen or straw purchasers, all with the hopes of tracing the weapons to the Mexican cartels. Some of those guns showed up at crime scenes on both sides of the border. In December, Terry was shot and killed while on patrol 14 miles north of the U.S.-Mexico border near Rio Rico, Ariz. after getting into an armed confrontation. Two guns from Operation Fast and Furious were found at the scene. Posted: 7/29/11 at 9:10 AM under Milestone, News Story.